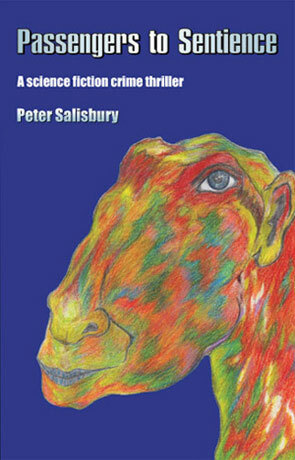 Passengers to Sentience is a science fiction novel and is the debut of the author Peter Salisbury. The Human race has reached the corners of the galaxy, colonising many worlds and enjoying advanced technology such as blindingly fast Data Transmission, organic metal alloys and the succesful manipulation of the human genome. Ben is a Data Detective and describes how his last case becomes wrapped up before taking a holiday that is not only out of this world but out of the body as well. This Debut novel from Peter Salibury is both thought provoking and intelligent, at times very serious but still engaging. The premise of the story involves the hero (Ben) taking the ultimate holiday in the form of transfering his consciousness with someone else on a completely different planet and a into the body of a different gender. Passengers to Sentience is a well written and ultimately rewarding debut novel with a good blend of new ideas, interesting characters and nicely placed humor, reccomended. Written on 20th August 2009 by Ant.